U,13 Division 2 Leinster League Final. Rhode U,13 Footballer’s Travelled to O’Connor Park on Monday evening last where they took on Tullamore in which was a ding dong battle throughout and thankfully Rhode finished the game off as Leinster League Champions with the final score reading Rhode 7-12 to 6-06. It was a truly magnificent evening from start to finish both teams marched around O’Connor Park behind the piper like Giants then both teams standing proudly for the National Anthem. In every way it was like their All Ireland final and it was a game fit for that occasion as both teams gave an excellent display of football. As the final whistle went the cheer’s of the great Rhode Support could be heard as we congratulated the wonderful boy’s and their management team on a wonderful win. U,13 Panel : Ryan Kellaghan, Liam Walsh, Mark O’Meara, Cameron Egan, Ethan Hannon, Matt Heavey, Barry Dunne, Sean Daly, Noah Swaine, Evan Farrelly, Ben Kennedy, Ross Kellaghan, Ryan Murphy, Charlie Cullen, Cian Cocoman, Gavin Murphy, Aaron Byrne, Jamie Glennon, Nathan Glennon, Billy Quinn, Tiernan Foy, Ryan Quinn, Richie Glennon, Cillian Dempsey. Rhode Junior B footballers travelled to Ferbane on Saturday last it was a close encounter throughout but Rhode were winning for majority of the game unfortunately Rhode couldn’t hold on and final Score read Ferbane 2-07 Rhode 0-11. Team: Phil O’Connell. Damien Jones, John Murphy, Fergal McNamee, Keith Murphy, Carl Green, Jack Kilmurray, Brendan Curley, Lorcan Reilly, Pat Murphy, James Murphy, Kieron Hope, Dan O’Reilly, Jack Downing ,Kevin Dunne. Subs used: Liam Grennan, Gordan Kerrigan, John Burke. Rhode Junior B’s now take on Kinnitty this Friday May 11th in Fr.Dowling Park Rhode at 7pm. Rhode U,17s took on Gracefield on Monday night last in Rhode defeating them on a score-line of 4-14 to 2-04. Teams played 13 aside. 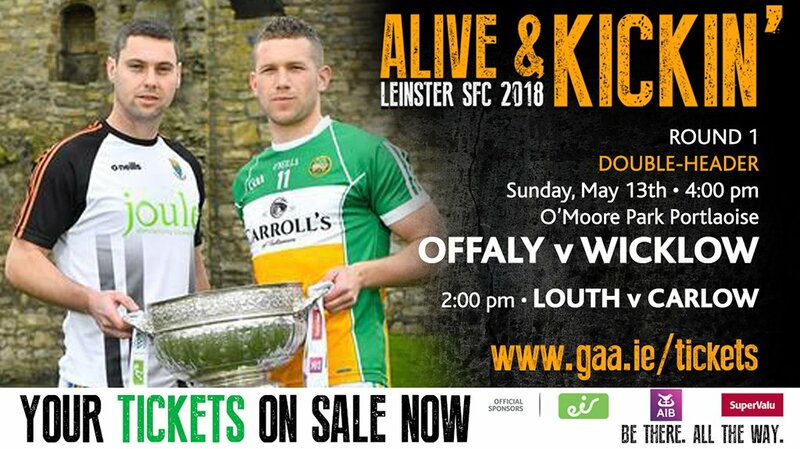 Very best of luck to Offaly Senior Footballer’s who take on Wicklow in the Leinster Senior Football championship this Sunday May 13th in O’Moore Park Portlaoise. Kick off is at 4pm. On The Offaly Team/panel from Rhode are Offaly Captain Anton Sullivan, Niall Darby and Conor McNamee Ruairi McNamee. Very best of luck to Offaly Hurler’s who play Galway in the first round of the Leinster Senior Hurling Championship this Saturday May 12th at 7pm in O’Connor Park Tullamore. Massive congratulations to our U,17 Footballer’s Aaron Kellaghan and Barry Coffey on making it onto the Offaly U,17 squad which is essentially the minor county team. Also extra congrats to Aaron Kellaghan who captained St.Joesphs Rochfortbridge to Glory last week as they won Senior Leinster A Hurling final . Congrats to Oakland’s U,14 Team on winning the North Leinster D final last week beating Mercy SS of Kilbeggan 2-11 to 2-09. Rhode had 9 players involved Dylan Kilmurray, Shane Murphy, Gary Kiernan (Oaklands Captain) Evan Farrelly, Michael Culloty, Shane Duffy, Jack Murphy, Ryan Quinn, Jake Molloy.